The American Safety Council is the trusted leader in the development and delivery of online defensive driving courses. Our web site is certified safe by McAfee Secure and accredited by the Better Business Bureau. We promise our customers the lowest prices on their defensive driving course. Our course and customer support is available 24 hours a day so you can complete whenever you like and contact us with any questions you have. Once you finish, we will process your certificate right away! Points on your license cost you money. Your insurance premiums can increase or be canceled, and you can even lose your license. 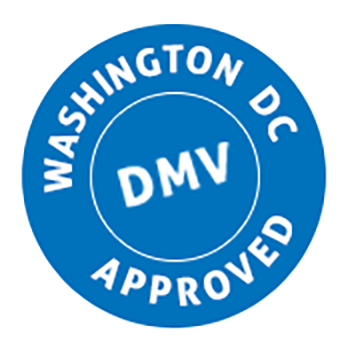 By completing our D.C. DMV-approved course, you'll keep the points off your license (pending your eligibility) and prevent insurance premium increases. Did you wait until the last minute to take traffic school? It's OK. You don't have to worry and it won't cost you more. Our traffic school can be completed in one day, and because this is a D.C. DMV-approved course, we automatically report your completion to the DMV. This is an online 8-hour Washington, D.C. Defensive Driving course that you can access 24 hours a day, 7 days a week and is fully narrated for your convenience. Copyright © , American Safety Council. All Rights Reserved.